That’s the opening line from which famous novel? If you guessed, Little Woman, you are correct. It’s also the opening line of the play, spoken by the feisty Jo–the role I was thrilled to perform in my school’s eighth-grade presentation of Little Women. Even then, I have to admit, it was probably a bit of typecasting as I was already showing an interest in novel writing. And yes, it would seem Christmas wouldn’t be Christmas without any presents, especially for children. As for Jo and her sisters, they were lamenting the fact that their father was off fighting in a war and the family had no money for presents. At first, they begin to contemplate spending their own hard-earned money on presents for themselves, until they realize that self-sacrifice, giving to others, is actually more satisfying, and that spending Christmas in the company of family and friends is more valuable than any present they could receive. As we grow older, we too realize that Christmas is much more about giving than receiving, and very much more about being able to spend the holidays in the company of family and friends. But along with all that family gathering, we also have our traditions: some handed down from generation to generation, some new traditions which we start as our families grow and become more spread out. With Christmas almost here, I thought it would be fun to talk about family holiday traditions. In our home, Christmas wouldn’t be Christmas without Grandma’s Christmas Jell-O, or a huge platter of the family recipe lasagna, or the Swedish glögg which my husband starts on the stove the morning of our gathering. The spices waft through the house as the children arrive with their own kids in tow. I suppose one might think Jell-O, lasagna, and glögg is a strange combination, but it is actually a blend of old family traditions. My husband is of Italian/English descent, thus the lasagna; I am of Swedish descent and my husband adopted the making of the glögg; and as for the Jell-O, when my children were small, my brothers and sisters and all their children would gather at my parents’ home on Christmas Eve and no matter what the dinner’s main course was, we always had our Christmas Jell-O. I guess that couldn’t be more Midwestern American. Now the children have moved further away and have their own small children so understandably they want to be at their own homes for Christmas Eve and for Santa on Christmas day. That’s something I completely understand, so although our get-together may not always be on Christmas Day, we still gather the day or the weekend after Christmas and it is great fun. We have a quick snack, let the children open their presents, and then the adults spend the rest of the day relaxing and enjoying each other’s company while the children play with their gifts and their cousins, and at some point, of course, we have our Christmas dinner. 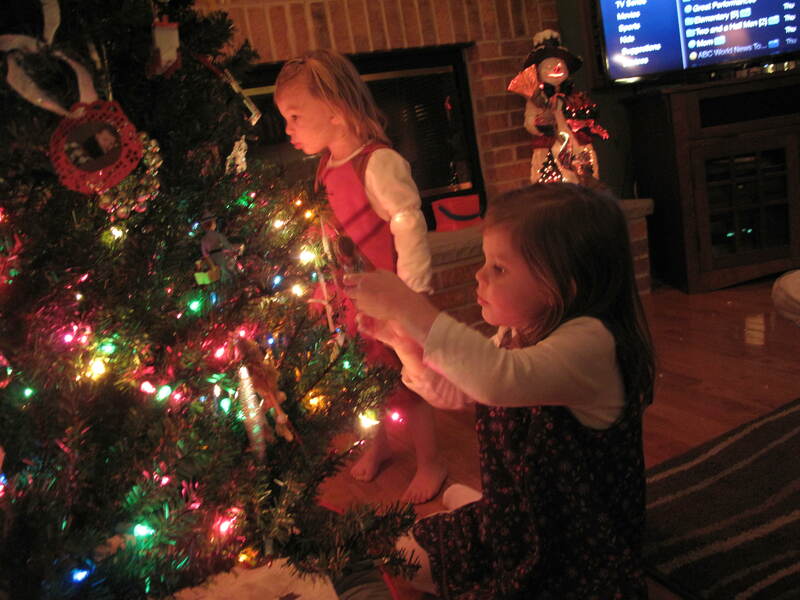 Another tradition which we have started recently, as our children live further away, is that when the kids are here for Thanksgiving, they help take out our Christmas decorations, we put up the tree, and the grandchildren put the ornaments on the tree. I’ve learned to love that just as much as our Christmas celebration. So you see, the more things change, the more things say the same. If you’d like the recipe for Grandma’s Christmas Jell-O, a fun go-together with any meal, CLICK HERE. Thank you for spending this time with me. Again, have a very Merry Christmas and Joyous Holiday Season. As we prepare for the holidays, I’m wishing all of you a very Merry Christmas! Freefall is Now Available on Amazon.com! All three DeLuca Family books now up on Amazon! New cover for heartbeats, books uploaded to Amazon! Sadly, Musa Publishing has gone out of business. Stay tuned for future Blog Post announcing new ways to purchase both e-book and printed copies of my novels.